Do you hit the snooze button too often? Can’t seem to wake up on time? Let’s make this easier for you by giving you something you can look forward to every morning. 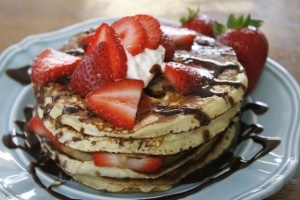 We bring to you a variety of pancake recipes- something which can work wonders in waking you up! 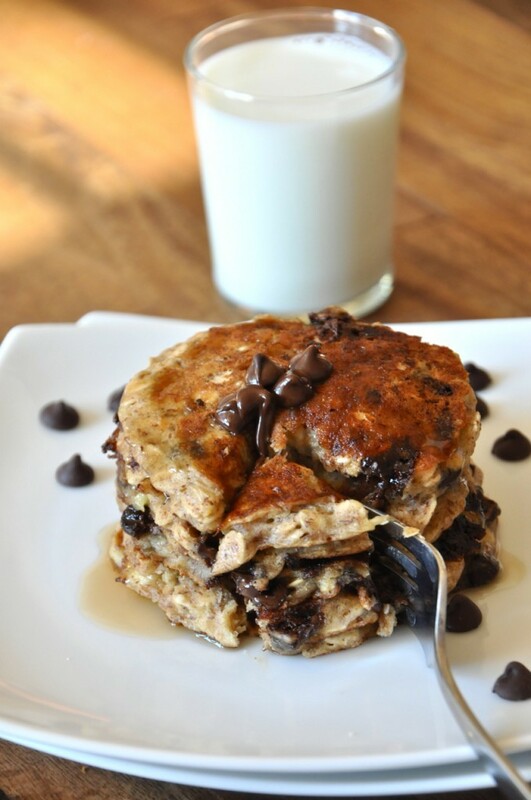 Not only are these luscious pancakes quick and easy to make but also ensure that you never miss breakfast again. They are moist, nutritious and bundled with joyous ingredients-all enough to fade away those Monday blues! What’s more? We bet you won’t ever hit the snooze button again! Because good ole’ traditional pancakes always make it to the ‘All Day Breakfast Menu’. Combine all dry ingredients together in a bowl. Mix them lightly. Add vanilla extract, oil, water and milk. Whisk to get the consistency of a slightly lumpy batter. Let the batter rest for a few minutes. Heat a pan for a few minutes until hot. Melt some butter and add it to the pancake batter. Stir the batter again. You can also add nuts or fruits if you like. With a ladle, add a dollop of batter to the heated pan. Cook the batter until small bubbles appear on the surface. Use a spatula to flip the pancake and cook the other side until it is golden brown. Blend oats to form a powder and keep aside. Add the powdered oats, honey, flour, mashed bananas, salt, choco chips and baking soda to a bowl. Slowly add milk to the batter and stir well till the batter is easy to pour. Heat a pan and grease it with butter or oil. When hot, add a ladle of batter. Cook on medium flame for a few minutes. 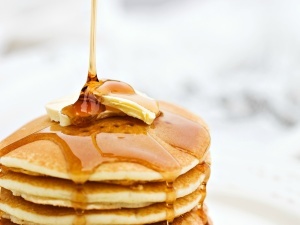 Flip the pancake using a spatula and cook until it is light brown in colour. Serve hot with a topping of your choice. For when you can’t bake cake. Add milk, some thick curd, melted butter and some vanilla extract to the bowl and give it a stir. Chop the strawberries and add them to the batter. Mix well. Take a pan and heat it on medium flame. Melt some butter and a dollop of batter to the pan. Cook till you see bubbles forming on the surface. Flip over and cook until it is golden brown in colour. Serve with a topping such as whipped cream or honey. P.S. Don’t forget to team it up with a glass of Pride of Cows milk!